Roof Maker design, manufacture and supply world class rooflights, developed to address the most demanding challenges our customers face. Offering standard or bespoke sizes, we’ll help you transform even the most unusual living or working spaces. At the forefront of engineering the most advanced technical and design specifications, Roof Maker is a driving force in setting the criteria for value and high-standards. Passionate about our customers we provide an unparalleled level of skilled advice to help you choose the right rooflight for your individual project. Buying direct from Roof Maker entitles you to our 20-year unit seal warranty. We are a family run and owned business with over 50 years experience. We design, manufacture and install windows, doors and conservatories for our customers across Leicestershire. A well established family business that can provide a wide range of UPVC and Aluminium Widows, Doors & Conservatories. We pride ourselves on completing projects that supports our customer’s exact specifications whilst using the latest products that offer the highest security and energy rating for your home. We welcome visits to our NEW Showroom offering customers an opportunity to talk through their options, inspect a range of samples, pick up brochures, and see more in depth our extensive portfolio of projects. We offer a flexible approach; either managing and delivering the whole build for you, or simply supplying your builder with the components. Manufacturer and installers of quality Upvc and aluminum windows, bi-folding,patio, composite and engineered timber doors, lantern lights, orangeries and conservatories. We are one of midlands largest independent manufacturers and installers of double glazed windows, doors and conservatories. We produce a superior quality product and compliment this with excellent service, expertise, craftsmanship and experience. From first contact to completion every step of the process is dealt with professionally by one of our team. Using the latest manufacturing techniques and technologies, we are able to supply windows, doors and conservatories of a quality that will please the most discerning. It’s by ensuring that these high standards are maintained that we continue to receive recognition from new and old customers alike – by delivering a service that is second to none. Klarheit are suppliers and installers of premium quality, aluminium framed windows, bi-fold doors, entrance doors, sliding doors & rooflights. We offer a wide range of innovative aluminium products and with over 20 years of experience we are happy to advise and guide you from your ideas or drawings to product choice and the final installation. We choose items from the best system companies throughout Europe. We ‘cherry pick’ products to give you the most up to date windows and doors with the latest innovations and unique features that not only meet the latest building regulations but can often exceed them. Come and visit our showroom and you can experience the quality products first hand. Yoxall (DGP) Plastics specialise in the installation of high quality, energy efficient UPVC windows, doors, conservatories and roofline products covering all of the Midlands. Being based in Staffordshire we are ideally situated to supply and install our products across the region including Burton on Trent, Uttoxeter, Rugeley, Lichfield, Sutton Coldfield, and beyond. With over 12 years industry experience, Yoxall is a name that you can trust. 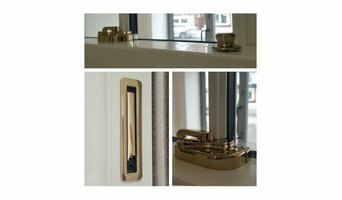 UK supplier of made to measure energy efficient upvc windows. House of Windows brings you over 25 years experience in the double glazing industry offering a superb standard of quality windows at fantastic prices. Bridgfords provide a Certass approved installation with qualifying work benefiting from an insurance backed guarantee of up to 10 years from QANW, an insurance intermediary company. Certass is licensed by the governments department for communities and local government and was established in 2006 as a not for profit organisation dedicated to raising standards. We pride ourselves on providing a responsive, efficient, professional service, and are committed to providing customer satisfaction. Our simple approach is to give you expert advice and design for your project and then install quality products and service at the lowest possible price. We also aim to provide products and services that are A rated energy efficient, the most secure on the market and that cause as little damage to the environment as possible. The most up-to-date brand of uPVC frames on the market, Liniar was created by bringing together some of the most knowledgeable and forward thinking designers in the window industry – with more than 500 years of experience between them. With a focus on research, development and design, the Liniar range continues to push the boundaries when it comes to product innovation. Continued investment in infrastructure, technology and a great team of people has brought market-leading success and sustainable growth. At Liniar, we understand that customers want everything to match. That’s why our product range spans not only windows, doors and roofs, but lots of clever design ideas for your home such as bi-folding doors and windows to give your home that real ‘wow’ factor. Our matching range of silicones also ensures a perfect finish for coloured installations. Our designers love coming up with new product development ideas, and Liniar has built a well-deserved reputation in the window industry as one of the most innovative systems companies around. This culture is embedded throughout our business, a fact of which we’re justifiably proud. Liniar – the brand Liniar’s trading company, HL Plastics, has been a leading name in the uPVC extrusions industry since 1974. Located in the heart of the UK, Liniar’s in-house team designs and manufactures the entire range of lead-free uPVC products, helping to build a reputation for innovation. 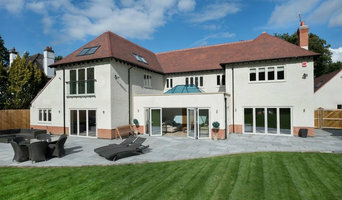 Liniar manufactures three different ranges of products, supplied to a variety of different markets: Liniar fenestration products (windows, doors and conservatories) – supplied to window and conservatory fabricators to make into finished products; The Liniar decking and fencing range – for caravan parks, holiday homes and domestic gardens; Liniar’s range of plastic piling – for retention, construction, waterways, flood prevention and road and rail infrastructures. The Liniar brand has become synonymous with innovation and its products are recognised as being among the most modern in their respective fields. HL Plastics’ state-of-the-art factory played host to the Prime Minister in 2014. David Cameron held a Q&A session with 150 members of staff, giving praise to the team for its impressive growth. We're a dedicated and passionate team of industry experts with acute attention to detail and superior workmanship. Our products and services are built to last and will look dazzling for years to come. We supply & install all styles of glass partitions and walls for your office or home, including frosted glass, etched glass, custom graphics and patterns. We can also supply & install office furniture, as well as undertake complete office refurbishments and fit-outs. Get in touch with us today for a no-obligation free quotation. Architectural windows and glazing is a supplier and installer of high class aluminium windows and doors for both the domestic and commercial markets. All of our aluminium profiles are thermally broken and come powder coated to any colour from our extensive range of Ral colours, and with over 30 years experience in the window and construction industry we bring a wealth of knowledge to all projects we undertake. Our aim is to offer clients innovative solutions & designs to meet their specifications & exceed their expectations. Our knowledge and expertise enables us to carry out a variety of projects from domestic to commercial contracts to the highest standards. We believe that effective problem solving, attention to detail and efficiency are crucial. What can specialist window companies, glaziers or window fitters in Nottingham, Nottinghamshire do for me? Specialist Nottingham, Nottinghamshire window companies and fitters can diagnose problems and prescribe a choice of remedies, while keeping in mind factors such as the style of your property, ease of operation, budget, noise reduction, thermal efficiency (the lower the U-value, the better), durability and maintenance. It is a balancing act that only a glaziers can deftly strike. 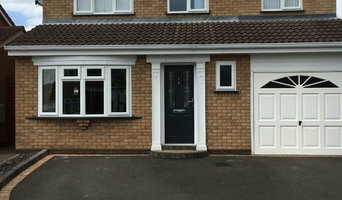 Most Nottingham, Nottinghamshire window companies will be able to take care of both supplying and fitting your new or replacement windows, but if you have already purchased your windows from a window manufacturers then you can find a Nottingham, Nottinghamshire fitter to just take care of the installation. 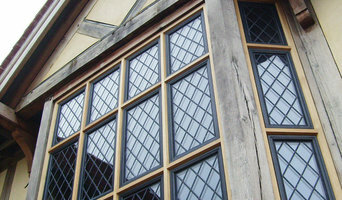 Where can I find the best choice of Nottingham, Nottinghamshire window manufacturers and window installers? Right here on Houzz. Look for Nottingham, Nottinghamshire Windows & Double Glazing professionals in the Find a Pro category and then save images of window styles you love in an Ideabook. Take time to look through each window company’s profile and get a sense of where their strengths and specialisms lie. Make sure your window manufacturers’ work comes with accreditation: whether from FENSA (Fenestration Self-Assessment Scheme), FMB (Federation of Master Builders) or TrustMark. Find window companies and glaziers on Houzz. 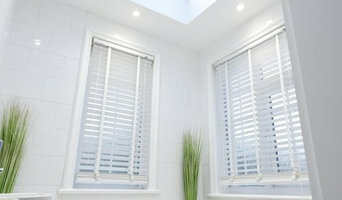 Narrow your search in the Professionals section of the website to Nottingham, Nottinghamshire window companies. You can also look through Nottingham, Nottinghamshire photos by style to find new and replacement windows you like, then contact the glaziers, window manufacturers or companies who installed them.